When you decide to leave your home and move to a new one, you are making a very big decision. Depending on the situation, your entire world might not be completely changed, but it is nevertheless an event that does change the landscape of your life in a very important manner. It is in itself a rather complex task and one that is not easily planned. There are many things that you have to think about, and you have to plan it properly. One of the most important things in life, in general, is timing. Good timing can save you a lot of troubles, while the bad one can cause a lot of them. Choosing when to move is, thus, a really important decision. A lot of people prefer moving during the summer, which is why we decided to make a list of the benefits of moving during the spring. Moving is usually a really exhausting task that may cause a lot of stress and headache to an average person, which any quality long distance movers North Dakota can confirm. Moving during the winter means that you will be cold for a huge portion of the time. Also, it means that you will probably be going to the cold outside, then the warm inside of the house and then outside again. Going from warm to cold constantly while carrying things and, likely, sweating a lot is bad news. You do not need catching a cold during the move. During the summer, the situation is completely the opposite. You go inside your home and it is warm. You go outside and it is warm. This means that you will be sweating all the time and that is always an uncomfortable feeling. One of the chief benefits of moving during the spring is that you do not have to deal with this. 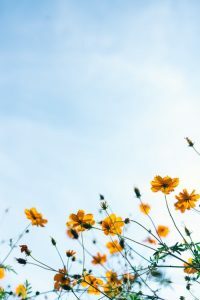 In spring, the weather is cool and comfortable. This means that you won’t have to struggle with too low or too high temperatures, thus significantly reducing the amount of stress that you would otherwise be exposed too. Besides things like hiring a moving company and preparing the packing materials, another really important detail that you have to take care of early is setting up a moving date. Scheduling a good one may actually be harder than it actually sounds. Depending on the season, obviously, movers can be more or less occupied. If you can plan the move several months ahead, it won’t be that hard to schedule a moving date. However, if you try to schedule a move several weeks earlier during the summer, it is likely that it won’t be possible. However, during the spring, you won’t have this type of problems. Calling to schedule a moving date just several weeks beforehand is quite a likely possibility. What we traditionally call “spring cleaning” is the process of completely cleaning up your home, throwing away the junk and preparing your home for another year. The reason why this happens during the spring is that that is when the winter is over. The nicer weather is finally here and you can go outside and enjoy the moderate temperatures. It is also not too warm to clean the house. So, if you move during the spring, you can also do the spring moving in stride. 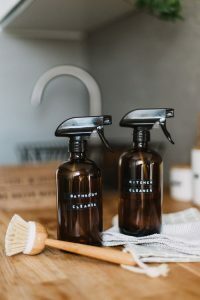 When you move to a new home you should definitely clean it before you actually move in, and spring is without any doubt the best time for doing that. Every season is good for some things and bad for the others. As we already established, summer is the season when the majority of moving is happening. However, when it comes to dealing with real estates, spring is the season to do it. Contrary to planning a move, it is best to sell your home or apartment during the peak of the season. Real estate’s market is one of the rare ones, if not the only one of all the markets where the prices go higher as the buying-selling options are more numerous. 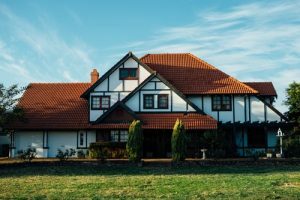 Due to the market being swamped with houses and apartments for sale, the information about them are more numerous also, which leads to better evaluations, which is one of the chief benefits of moving during the spring. This also means that there will be more potential buyers, allowing you to be pickier. The old saying that claims that the world is spinning because of money is a true one, as it is one of the most important things in life, whether we wanted to admit it or not. When you are planning a move, among all the things that you need to take care of is your moving budget. Hiring one of the best long distance moving companies Nevada or New York, or Texas can offer is not always cheap. Add all the other expenses, and you the costs can go up really high, really quickly. Of all the benefits of moving during the spring, the fact that it is cheaper than other seasons is probably the most important one. Since the majority of people prefers moving during the summer, that is when the movers are busiest. This is the reason why the prices for moving during the summer are the highest. If they are not moving during the summer, people usually move during the fall or even winter. For some reason, they often overlook spring. Since it is off-season, moving during the spring is a great idea. Movers will offer you lower moving rates due to not having so much work. This can significantly reduce the cost of your move, so bear this mind. ← How to choose the best storage for your valuables?